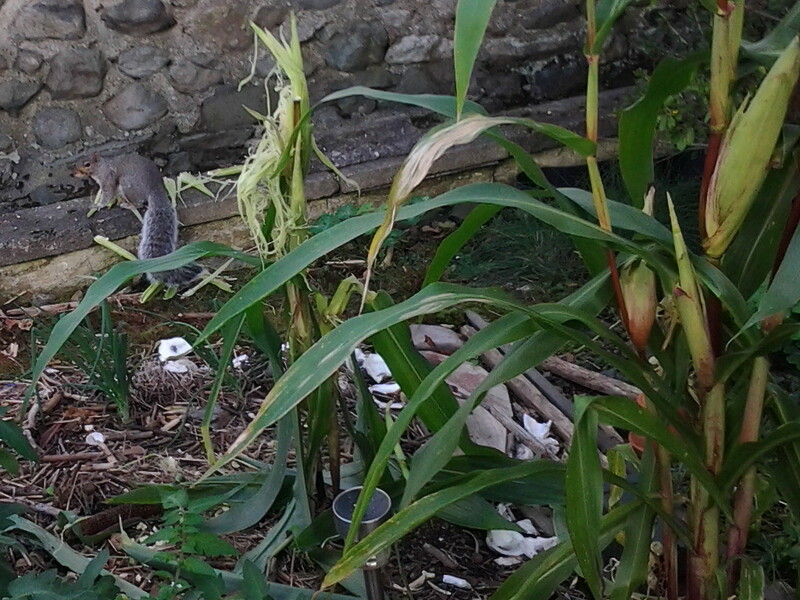 The squirrels plant corn all over the place. You might think they’re just caching it, by hiding kernels in the ground, but in some spots it comes up spaced so evenly, it looks deliberately planted. And in this one spot, which doesn’t actually get all that much sun, somehow two years in a row now, the world’s smallest corn patch has sprouted, grown, flowered, and ripened. All so the squirrels can eat some more corn kernels and cache the rest.